Maruko's best friend. 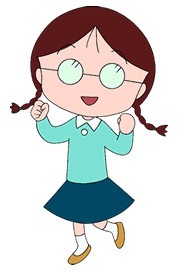 She is intelligent and she does not include herself in other activities with Maruko. Nicknamed Tama-chan.